The worshipping Lord Shiva comprise considerate the background of the Lord shiva and his place amid the various gods as well as rituals which have been formed in order to honour him. If you are eager to draw lord shiva then it is necessary for you to go through the following steps which will surely guide you to complete the drawing procedure in a reliable manner. 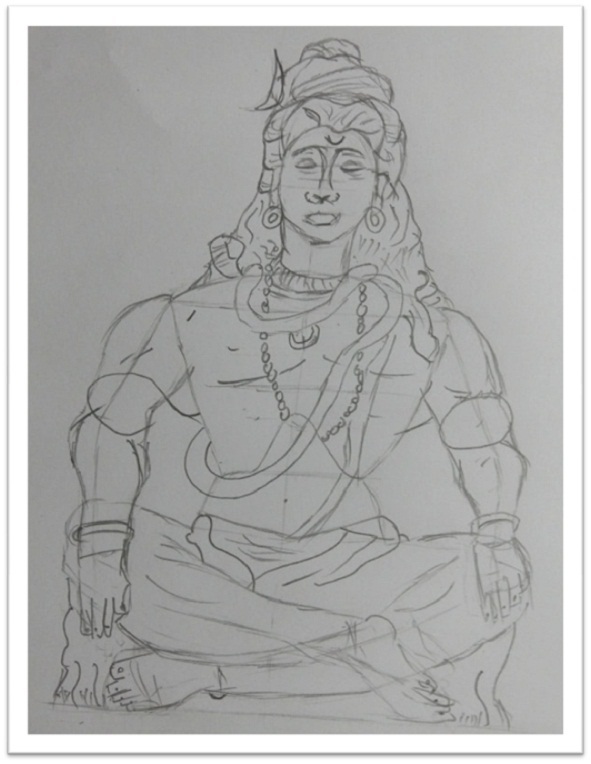 Of course, you can make use of a paper and different sorts of a pencil to draw Lord Shiva drawing. As per your convenient and comfort, you can make use of any of the pencil shade to draw this stunning Lord Shiva drawing. 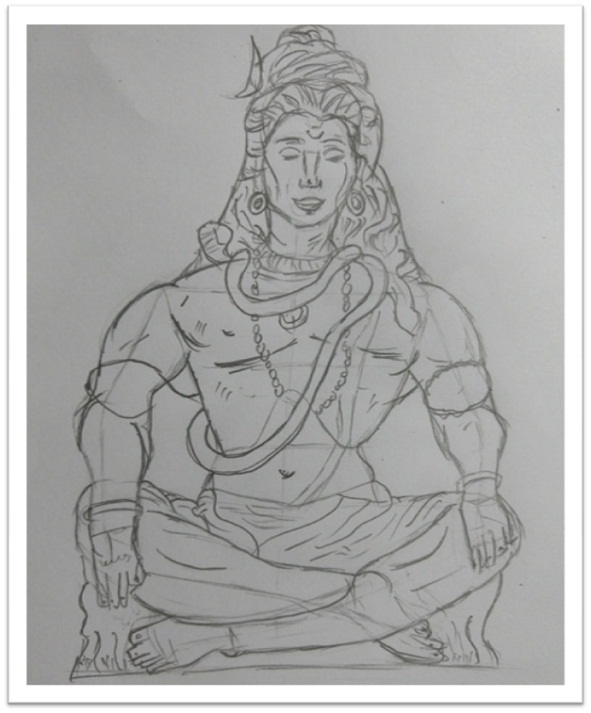 If you are not having sufficient basic idea to draw Lord Shiva drawing then don’t bother. Just follow the remaining following step by step instructions to finish the drawing procedure easily to get the best drawing. Below are the efficient and hassles step by step instructions that make you get a very good idea for drawing Lord Shiva drawing quickly. Go behind these following instructions to draw Lord Shiva. 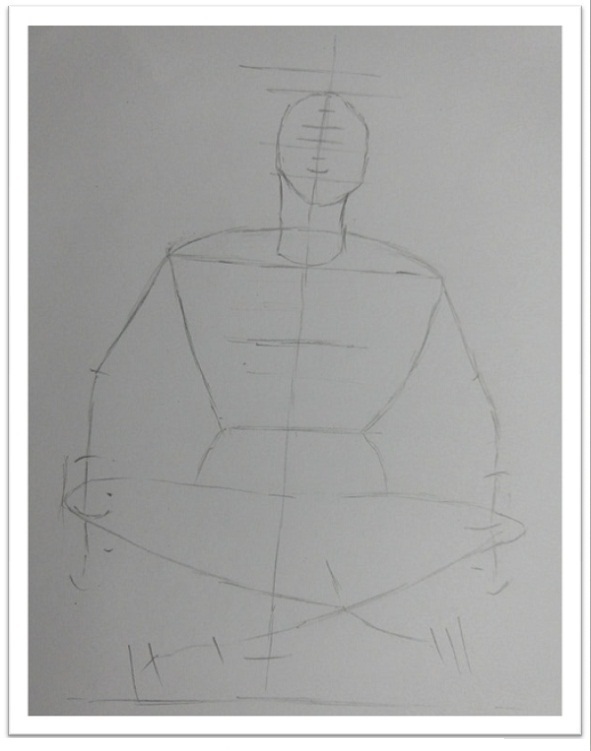 In the first step, you need to mark the height and width of Lord Shiva, and his proportions. And draw his head and draw a line that will act as the middle of his head. On the other words draw a straight vertical line on the middle of the paper and the draw two to three horizontal lines as it is given in the below image. 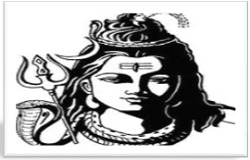 In this steps, now you have to connect all those lines to get a proper shape of the Lord Shiva body and also draw the neck as it is given on the image. Simply have a layout by your pencil and link all those lines. Thus, by following this guide to drawing the Lord Shiva arms and feet and also define the place for his facial specifications. With aid of the guidelines draw feet and arms of Shiva. 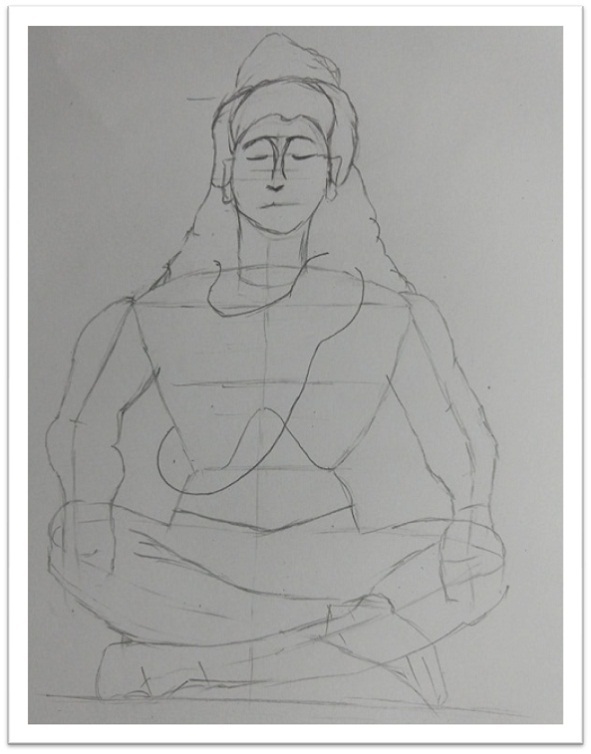 Now, outline the shape of Lord Shiva arms hands and also hair. Afterward, then draw the shiva’s nose, eyebrows, cloth, and chest. Thus, you can also able to observe it on the below given image. 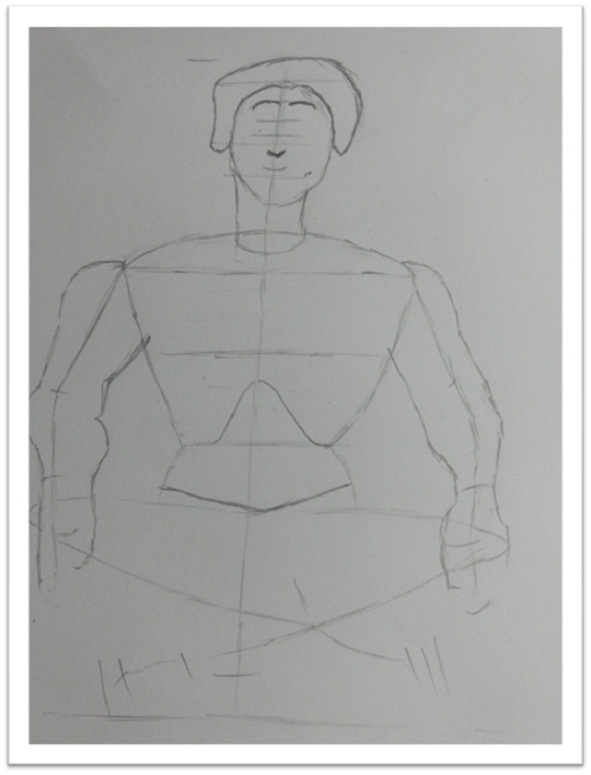 Draw the proper shape for the nose, chest, and eyebrows on the paper. Now, you have to draw the remaining parts of Lord Shiva such as eyes, legs, feet and also ears. After drawing these parts following guides on the image draw the snake for Shiva. If you have doubts then you can also verify the below-given image of Lord Shiva. Now, with a use of the guides Lord Shiva snake, earrings, fingers as well as toes. Simply do as you observe on the below-given image to draw those remaining things. Now, work on the image, and you have to play some special kind of attention to the following details on the image. 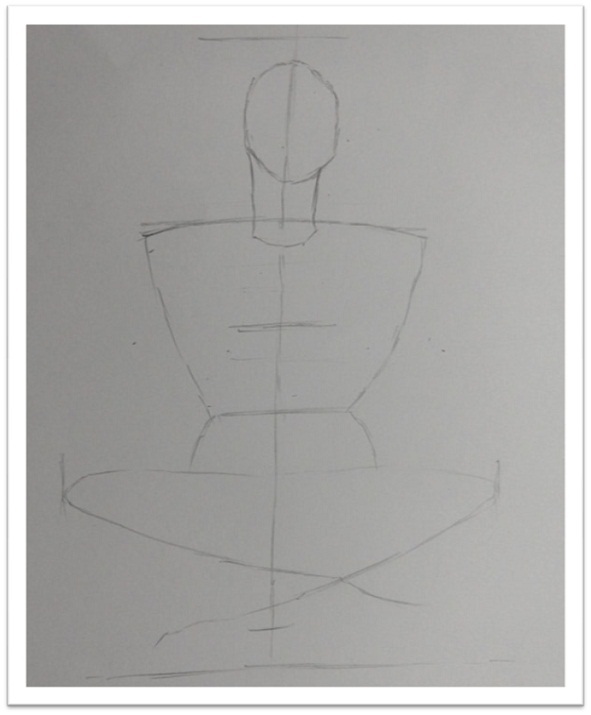 Finally, contour Shiva attempts vary thickness and also the darkness of the line which you have drawn out. 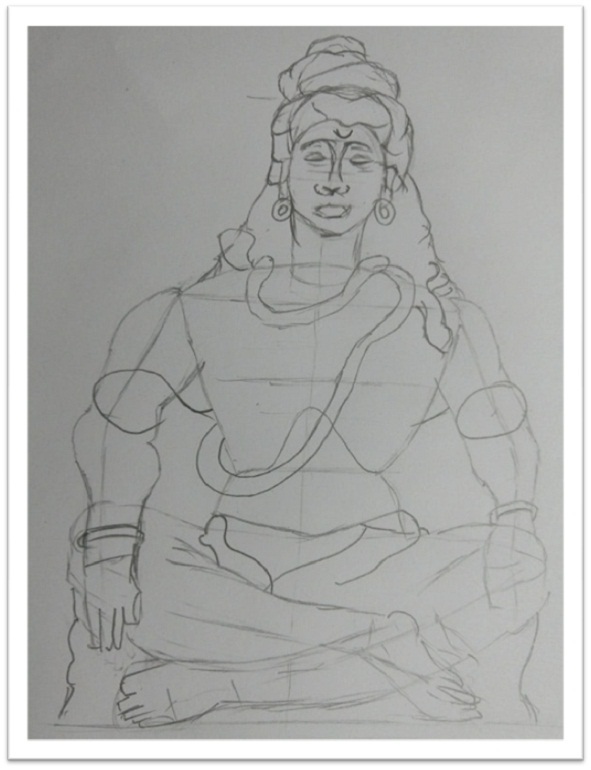 After drawing a thing line then you can erase the errors things in order to get a clear image of Lord Shiva drawing. Therefore, these are the eight hassles free steps which easily guide you to complete the whole drawing of Lord Shiva by the above following step by step instructions.